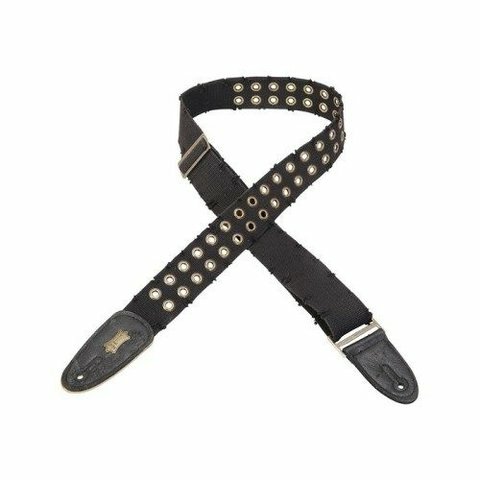 2″ Tear Wear cotton guitar strap with brass eyelets and tri-glide adjustment. Available in green (GRN), camo (CAM), brown (BRN), and black (BLK). Adjustable to 60″. Available in extra long (XL), which adds 12″ to overall length.